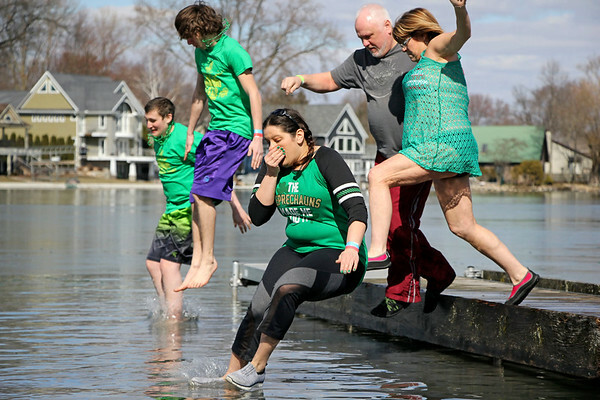 Participants in the 2018 Leprechaun Leap brace themselves before plunging into Simonton Lake Saturday afternoon. The annual event benefits United Cancer Services of Elkhart County, an organization offering emotional and financial support to cancer patients. Executive Director Pete Norton said he estimated 550 to 600 people gathered this year at Re-Pete's Simonton Lake Tavern, raising about $25,000.